With tropical waters, and plenty of stunning coastline, the Northern Territory is home to some of the best warm water fishing in Australia. 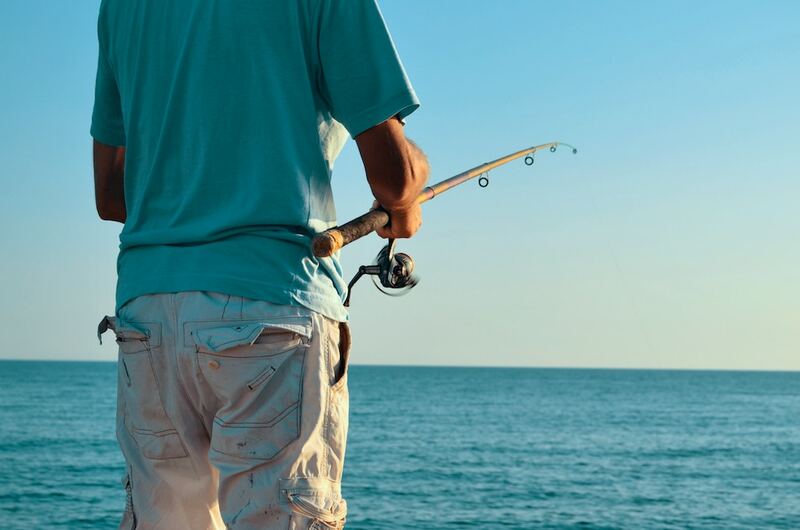 Throw in the numerous rivers and billabongs for good measure, and it’s no surprise that Darwin, in particular, draws fishing enthusiasts from all over the world. Here are our favourite fishing spots near Darwin. Keeping it close and local, Bayview Marina is a fantastic spot for land fishing just a few minutes from town. If you’re looking for Mangrove Jack and Golden Snapper, then the lock and the rock wall are your best bets. Fish are known to crowd the area at the large drains at the back of the lock, feeding on bait fish, so head there for some easy pickings. Barramundi can be found occasionally, usually at night when they’re attracted by bait fish that move towards the surface, attracted by the lights. With plenty to see, do, and eat, in the area, Bayview Marina is an incredibly popular spot – so get in early! The name says it all! Another popular land-based, salt water fishing spot, Fishermans Wharf is located at the Darwin Fish Market just down from the marina, and offers up great barramundi fishing. The wharf is a hub for the local fishing and pearl markets, so you know you’re in good company when you hit the jetty! Locals say that dropping a line at low tide is your best bet, and that the barramundi are best found at the end of the jetty in the murkier waters. In the cooler months, you’ll find the area teeming with bream. If you don’t have any luck yourself, you’re already perfectly placed near the fish market so you needn’t go home empty handed. There’s also plenty of fish and chips within walking distance for a seafood meal on the go! While there are strict no fishing restrictions for the marina at Cullen Bay, the floating pontoon outside the marina is very popular with anglers looking to hook a barra. Casting near the lock at run out tide, or at the mouth during incoming tide, will give you the best chance. Barramundi aren’t the only fish swimming at Cullen Bay, those dropping a line can also expect to find Mangrove Jack, Trevally, Queenfish and Golden Snapper. Cullen Bay is perfect for those of all skill and experience levels, and with some world class fine dining nearby, the area is incredibly popular and well known internationally as a “must see” for anyone visiting Darwin. With Seafood on Cullen and La Beach Restaurants just a short walk from the jetty, you wont get home with an empty stomach! Just twenty minutes north of Darwin, Dripstone Cliffs is fantastic for dry season fishing if you’re looking for bream and whiting. Barramundi are less prevalent here, but can still be found – mostly in summer. A place of significant historical importance, the Dripstone Cliffs are stunning both in their natural beauty, and for the fascinating WWII observation posts that are still present. Installed as part of a coastal defence strategy developed to help defend Darwin, in anticipation of a sea and land based invasion by the Japanese during WWII, the observation posts are easily accessible and very visible. The combination of these points of historical interest, the fantastic potential for bush walks, as well as a great fishing experience, make Dripstone Cliffs a great place to take teens and older children for a day out. A fantastic spot for fishing and crabbing, the Rapid Creek Footbridge is always popular with anglers looking to nab a barramundi. The fishing is best at neap tide, and after heavy rains, when the nutrients rich water has washed through the mangroves, drawing in aquatic life for their lunch. Trevally and queenfish are also prevalent in the area, and make for easy catching regardless of your skill level. The area can get pretty busy – drawing in locals and tourists alike – so you will have to get in early, but with the natural beauty of a place like Rapid Creek, there’s plenty to enjoy about the area! Something that makes Rapid Creek pretty special as far as Darwin’s fishing spots go, is it’s inclusive design. A specially constructed wheelchair accessible fishing platform – the Peter Mahoney Fishing Platform – which stands alongside the bridge, features accessible parking bays, solar lights to illuminate the area, and fold down tables that accommodate wheelchair using anglers. The platform is also fitted with adjustable panels to allow casting from a low height. The panels are kept locked for safety associated with the reduced barrier height, however keys to unlock the adjustable panels are available free of charge by calling the City of Darwin’s accessibility office on (08) 8930 0645. While fishing in Darwin is a fantastic experience, it’s important to remember that the Northern Territory’s waterways are home to both fresh and saltwater crocodiles. For this reason, it’s important to never clean fish on or near the waters edge, and to not wade or stand in water for longer than is absolutely necessary. While there are crocodile warning signs posted along various waterways, and crocs are most prevalent during the warmer months, it should never be assumed that it is safe to enter the water at any time of the year. If you’ve enjoyed our guide to Darwin fishing spots, and want to check out our fishing guides to other Australian cities, check them out here.